I arrived in Port Melbourne on 29 November 1958, on the ship Oceania from Genoa. 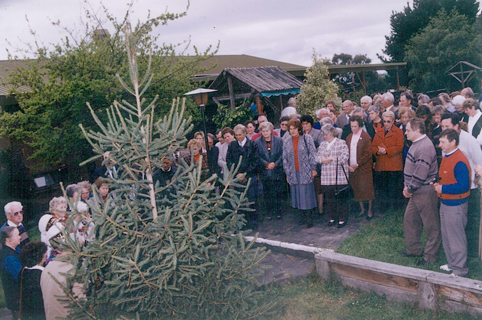 For Christmas holidays, I was invited to the home of the family Hartman-Čar, who lived in Pascoe Vale, and there I got to know Micka Hartman and her mother Veronika Čar. 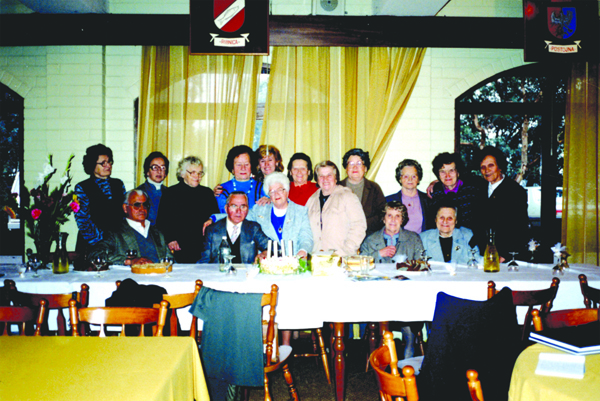 We spoke about the importance of the older Slovenians’ communicating and associating with each other as early as 1958. At that time, there were no telephones, no cars and there was a general inability to speak English. The urgent questions were where and how? I offered my assistance with organising the place for the meeting of our elderly. 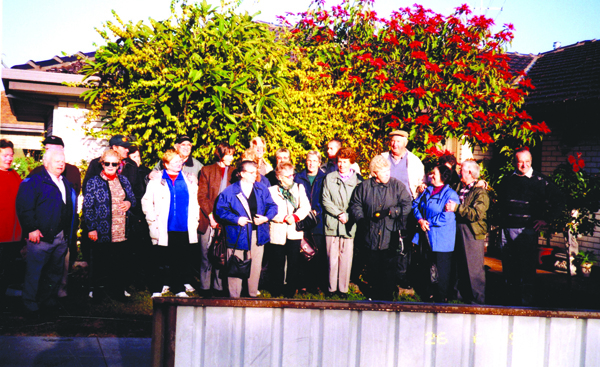 We soon got to know each other and with the assistance of a list of Slovenians, we informed individuals, so that at the beginning of 1959 a social gathering, ‘tea party’, was held every first Sunday of the month for elderly people and their drivers. 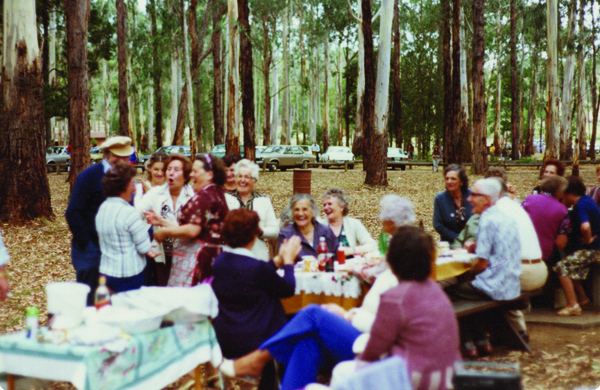 Many times we decided to go for a drive from the home in Carlton to the country, to what was later to become the Eltham club house in the country. 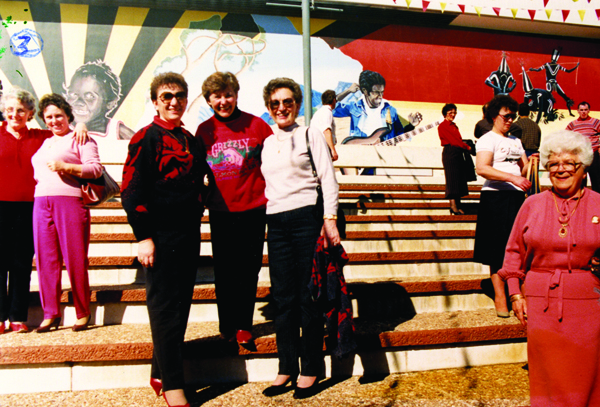 We celebrated birthdays and other holidays and hosted visits from guests from all over the place. I must report the true pleasure that was experienced by those attending. 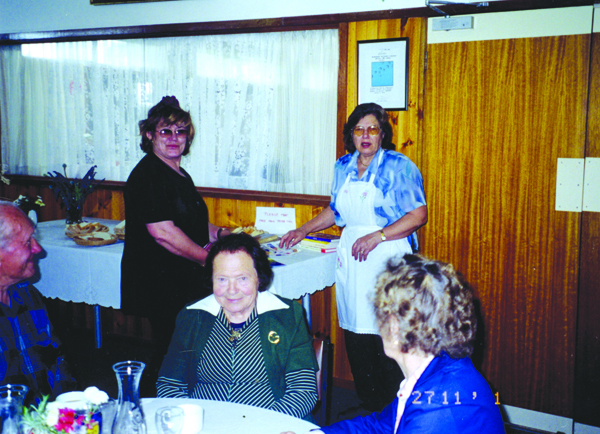 The friendly surroundings, and tasty home cooked meals offered by our retired ladies. 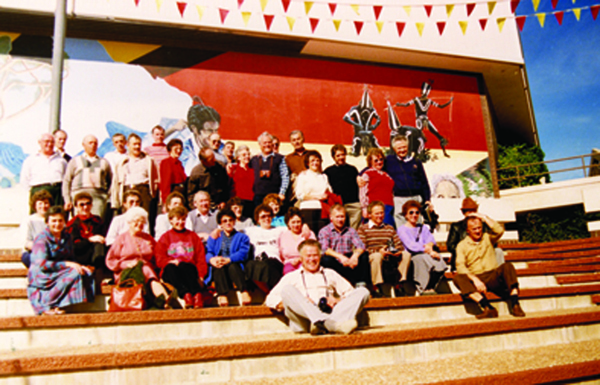 These meetings continued until the late 1980s and into the 1990s under the leadership of our good fellow travellers. Organisers included M. Hartman, Kati Hartner and me. Unfortunately, due to circumstances necessitating rescheduling of meetings to the third afternoon, the breaking of routine resulted in the end of the long standing gatherings. 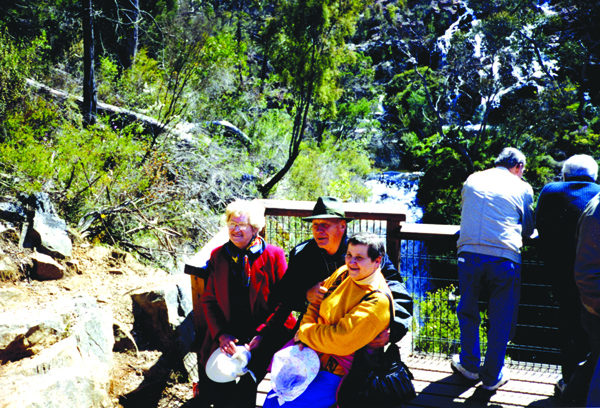 Micka Hartman and I began to organise short excursions open to all, as some had no transport or weren’t able to leave their house due to illness. 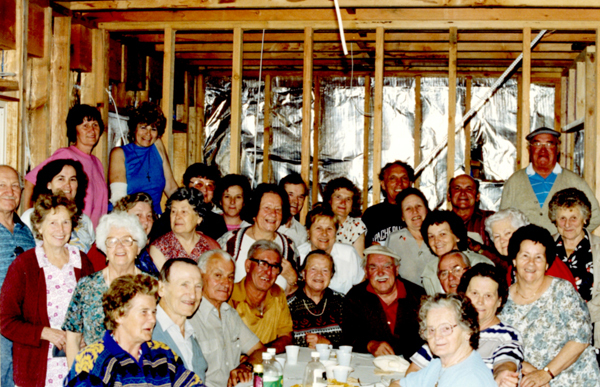 Many times we went to celebrate birthdays at the homes of those who weren’t able to leave their home. 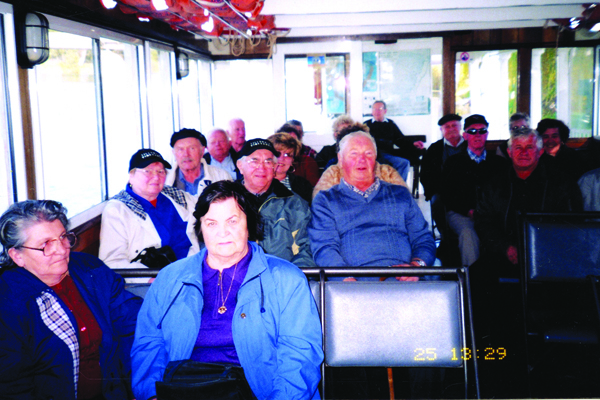 M. Hajak was our host and assisted with transportation on the excursions to the Dandenongs. At my request, we twice accepted an invitation to Devonshire tea at the Government House at the Botanical Gardens. 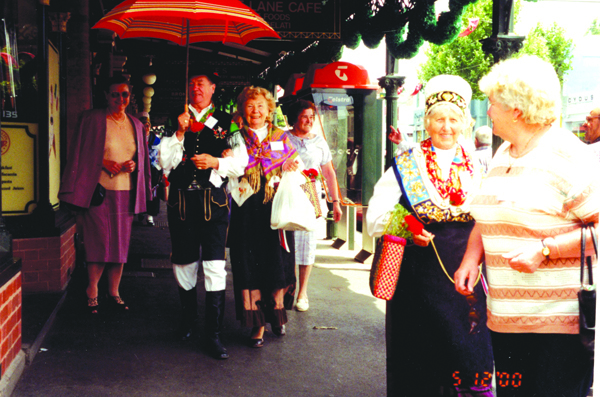 On the occasion of Seniors Week in Victoria, we presented some Slovenian traditions at the Exhibition Building and at the Victoria Market. Our group performed in national costume at the Arts Centre and at the Eltham festival. 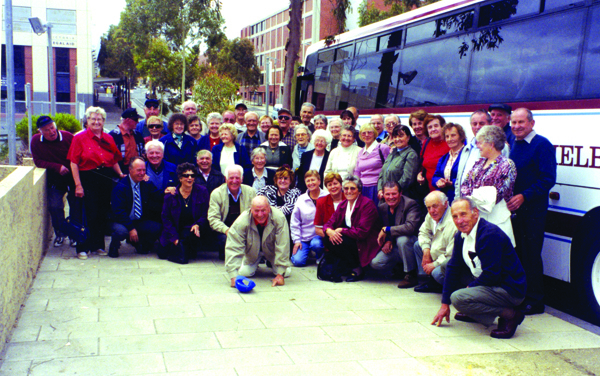 In the past years, I have organised excursions for retirees in conjunction with the Slovenian Cultural Centre and members from the entire Slovenian community in Melbourne have joined us on occasion: Western Australia, Slovenia, Tasmania, Queensland. 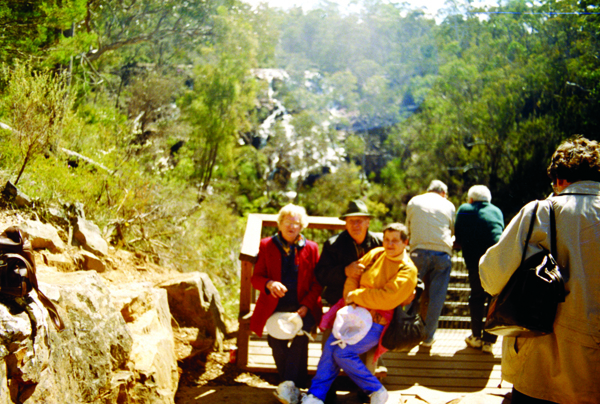 We had shorter excursions within Victoria, by bus and sometimes by train. 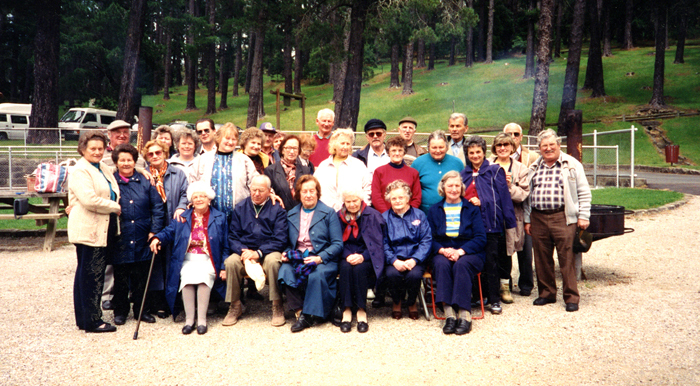 Care for the elderly and sick started with Fr Basil’s appointment as a social representative in the fifties. 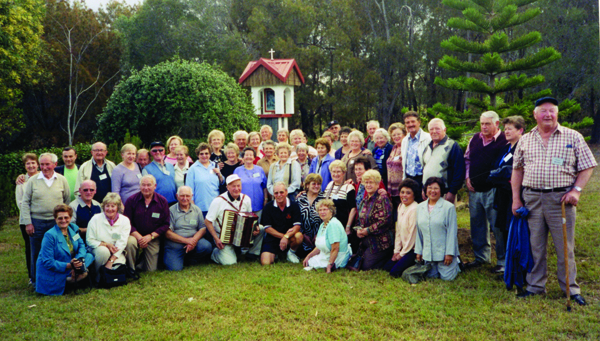 He visited families, the sick, the needy and those designated to the migrant camp in Bonegilla. 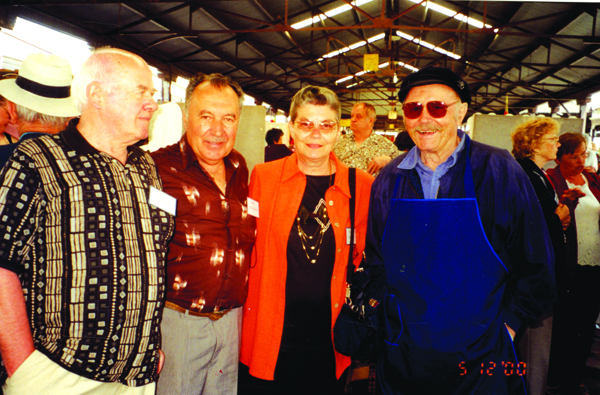 He helped many to re-settle in Melbourne, helped them to find jobs and housing, and visited them in times of loneliness. 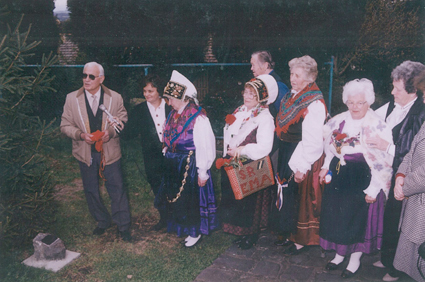 The Slovenian Association Melbourne continued to care for the elderly and sick, visiting them and their families, helping them and remembering them with flowers or a small gift. 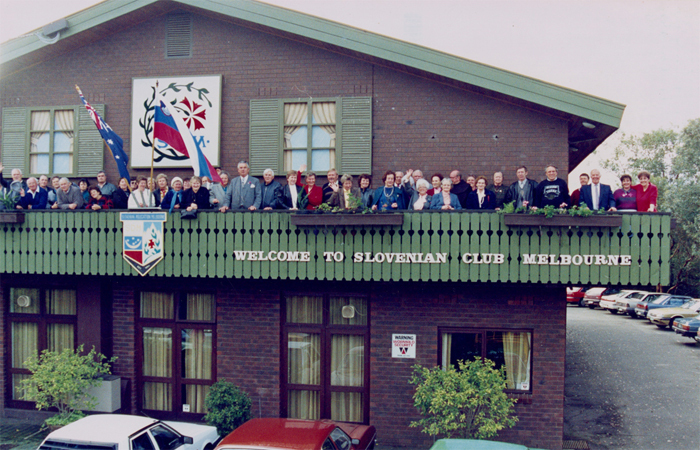 Many people, on being hospitalised, received a visit and a get-well card on behalf of the Slovenian Association Melbourne.